Want to talk to an actual person ? Call 604-639-8828. Join the 1000''s of satisfied clients, who trust Promo Lip Balm, and enjoy our Petroleum Free - Natural, Organic and USDA Certified Organic Lip Balm ingredients daily. Your lips deserve the best! We like what we do. We''ve built a credible company by listening to and genuinely caring for our clients. Paying attention to detail, being kind and compassionate has attracted repeat business, referrals and new customers alike. We thank you all ! Ask for a FREE complimentary label visual today! Offering formulations to suit all budgets. Quality, organic, USA made products with 100% satisfaction guaranteed. Established in 2000 - "Our pledge is to supply All Natural Products wherever possible. We supply what is promised, deliver the best work possible, on budget and on time." Custom imprint with your logo from 250 units. Ask us about our custom flavor, private label lip balm formulations - our specialty, at just 1,000 - 2,500 units minimum depending upon ingredients. Match a beverage, popcorn, candy, ice-cream, food or invent a new crazy custom flavored lip balm. It''s up to you! Promotional Lip Balm is a highly successful advertising method, keeping your company’s name and logo on your target audience’s lips on average of 2-30 times daily! It''s a tried and tested formula, so there''s no risk of wasting any of your valuable advertising budget. Promotional Lip Balm has a life span well in excess of other mediums and have a very high percentage recognition recall. 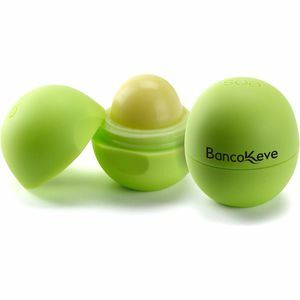 Check out our branded EOS LIP BALM SPHERE and EOS LIP BALM STICK! Promo Lip Balm is the first company to offer custom branded EOS lip balm. Quality lip balm formulations ensure the products are used daily and not thrown away after the first time it''s applied to someone''s lips. "You get what you pay for" - really does apply here! Lip balm sticks, lip balm tins, lip gloss and cosmetics are ideal dental and trade show give aways, wedding favors, corporate gifts or retail items. Attractive to consumers and businesses alike, the line is designed to be used anytime, anywhere. The MiLi Pure 2, MiLi Pure Bottle and MiLi Pure Spray are equiped with a Bioelectric Impedance Analysis (BIA) sensor to measure skin moisture. According to Shape Magazine BIA analyzes body fat, or skin moistness by using electrodes that rapidly travel through the body. The more hydrated the skin, the less resistance the sensor will have.